During the past 24 hours, Russian-terrorist forces in Donbas have fired on the positions of Ukrainian troops over 20 times – in violation of the Minsk agreements; an attempted assault on the positions of Ukrainian troops was recorded as well. 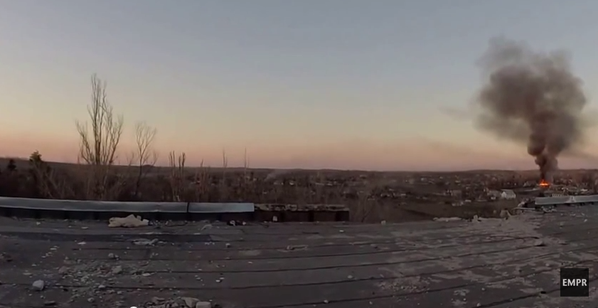 The most intense enemy firestrikes were reported in the Seaside [Mariupol] sector. 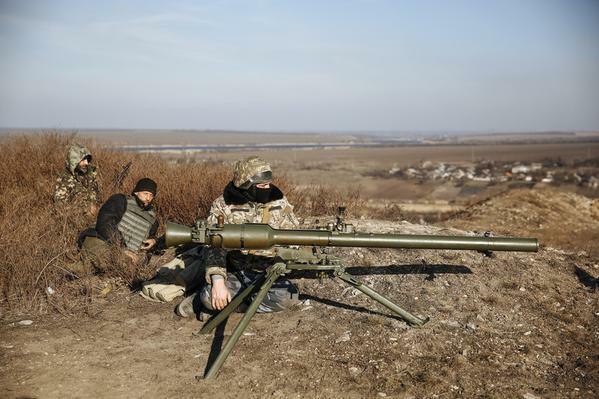 Insurgents and Russian mercenaries fired on the positions of Ukrainian troops near the settlements of Shyrokyne, Staromarivka, Novoselivka, and Mykolaivka, using 120-mm mortars and heavy grenade launchers. The positions of Ukrainian troops in the Donetsk sector, near the settlements of Pisky, Hranitne and Avdiivka, were also shelled (mainly with 120-mm and 82-mm mortars; the enemy used armored vehicles against Avdiivka – 2 tanks fired from pre-equipped positions, and SPG-9 mounted grenade launchers were used in the area). In the vicinity of ​​Mayorskiy (Artemivsk sector), an enemy group of up to 2 platoons in strength, supported by 3 armored vehicles, launched an offensive on the advanced positions of Ukrainian troops. Initially, the Ukrainian units stopped the enemy units’ advance by precision fire from their pre-equipped positions and a tactical maneuver; subsequently, the enemy was forced to retreat to their starting lines. In the vicinity of Sokilnyky (Luhansk sector), an insurgent force (up to 2 platoons) made two attempts to come into close proximity with the positions of Ukrainian troops, using a cover of heavy small arms fire. Both attempts were unsuccessful, and the enemy was forced to pull back to the starting line. 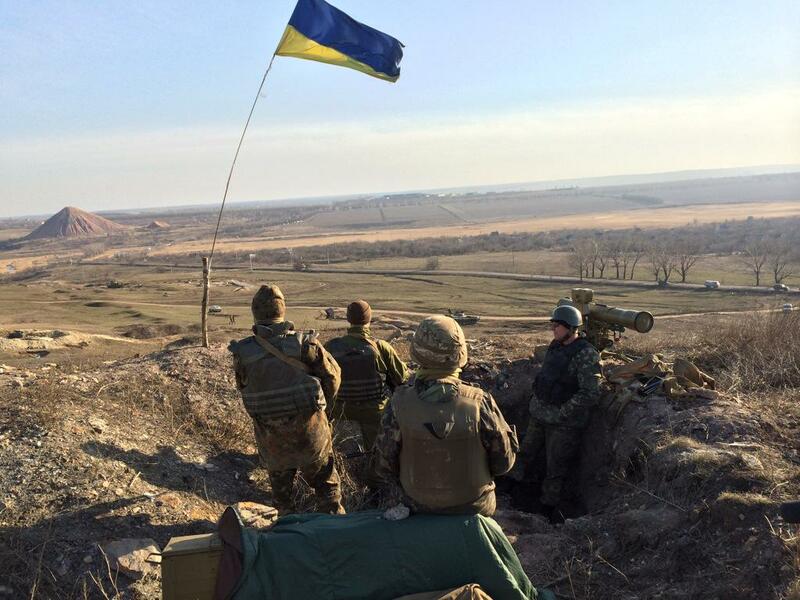 ATO forces fought off a terrorist attack on their stronghold in Trokhizbenka. Source. The “DNR” [Donetsk People’s Republic] and “LNR” [Luhansk People’s Republic] continue increasing the combat ability of their forces, working to organize the remaining extrasystemic and irregular formations into solid and structured “armed forces.” The insurgent command focus their efforts in several directions – improving the organizational structure (bringing the different-sized and variously structured formations of the “Army of Novorossiya” to the uniform norms and standards of the Russian Armed Forces); completing the staffing of these formations with personnel and military equipment; constructing a single chain of command (both operational and administrative); improving the professional skills of the insurgents; and accumulating material and technical resources for subsequent active hostilities. Over the past 24 hours, three targeted supply convoys were seen arriving from Russia (two along the “southern route,” one along the “northern route”). A total of 48 transport units (including 11 fuel tankers and 10 specialized vehicles) were seen on the move. Terrorists continue to reinforce their battle formations on the ​​Alchevsk – Stakhanov stretch. Four tanks and two AFVs (repaired and serviced at the facilities of local businesses) were seen moving in the direction of Russian-terrorist positions near the Bakhmut highway. A convoy of armored vehicles proceeded through the settlement of Metalist (near Luhansk) in the direction of Shchastya (eight AFVs, two motor cars with mounted Zu-23-2 anti-aircraft guns, and three BTR-80 APCs). The insurgents continue reinforcing their formations in the Artemivsk sector (chiefly by transferring units from the “Horlivka garrison” here). We observed two insurgent tactical groups moving along the demarcation line, with armored vehicles (3 tanks and 6 AFVs; insurgents in this area also employ 82-mm mortars, 17 SPG-9 mounted grenade launchers, and 107-mm B-11 recoilless rifles, mainly mounted on appropriate transport platforms). In addition, 21 tanks and 18 AFVs have been transferred to the Artemivsk sector over the past 24 hours, moving through Makiivka (some of this equipment took part in the Debaltseve battles earlier and has been repaired; the rest recently arrived from Russia). The armored vehicles were transferred to the new positions in small groups. A Russian-terrorist “training center” is operating in the vicinity of Oleksandrivsk, where a number of insurgent units are covering “training points” concerning defensive and offensive action. Armored vehicles (6 tanks, 5 ACVs) and Russian specialists are involved in the training. 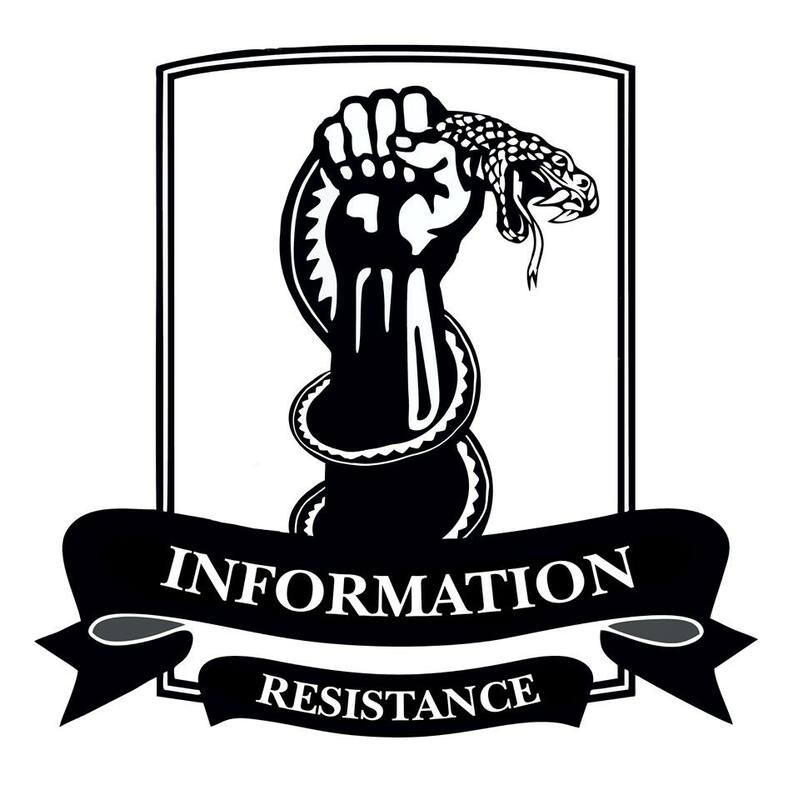 South of Donetsk (Stepne – Dokuchajevsk stretch), the terrorists continue operational deception efforts for their continued reinforcements of personnel and resources. Specifically, radio communication in insurgent networks has dropped noticeably in this area, while armored vehicles are distributed across a relatively wide stretch, in small groups. The Russian-terrorist battalion tactical group that was previously concentrated in this area has deployed a portion of its personnel and forces to cover the front section between Stepne and Volnovakha, providing for the concentration of another BTG to the northwest of Dokuchajevsk. Two tactical level command and control points are present in this area. 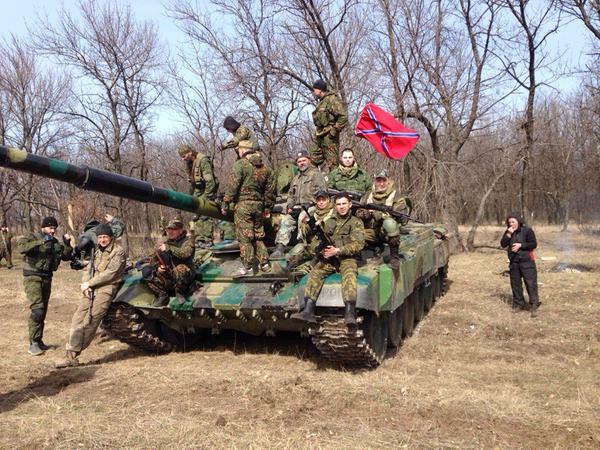 Another Russian-terrorist tactical group is transferring to the area of Starobesheve – Telmanove. It includes 14 armored vehicles, including 4 tanks. In the Severodonetsk – Lysychansk stretch, a number of units from the remnants of the so-called “Cossack guard” were spotted. These small units are armed with mortars, SPG-9, AGS-17, and other heavy infantry weapons. In the Luhansk sector, the enemy is carrying out intense reconnaissance, trying to uncover the defense system of the Ukrainian troops that continue controlling the main crossings over the Seversky Donets River.